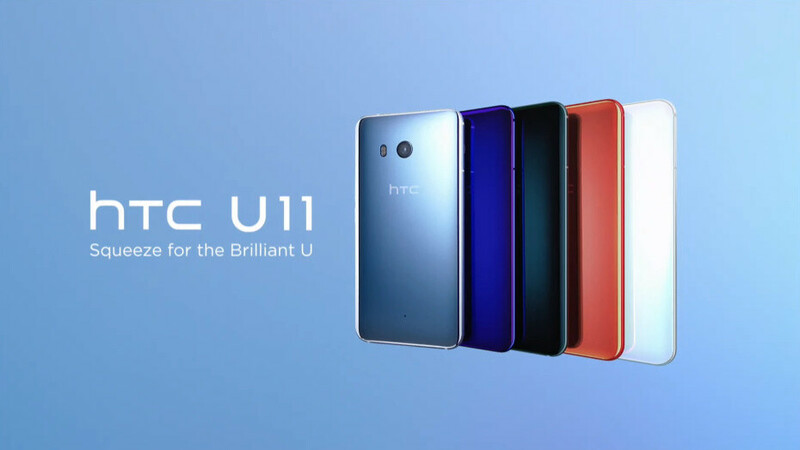 Focus Taiwan reports the new HTC U11 smartphone has already outsold both its predecessors, the HTC M10 and M9, in less than a month on the market. The information comes directly from the president of HTC's smartphone and connected device division, Chang Chia-lin. According to the director, HTC's smartphone business is facing the challenge of a homogeneous market where increased sales won't always translate to increased profits. As part of its strategy to combat this, HTC is re-focusing is research and development efforts on preparing the launch of 5G services by year 2020. Additionally, HTC will further reduce its operating costs and limit its new smartphone introductions to three or four devices per year. In related news, HTC Chairwoman Cher Wang is looking towards a promising financial year for the company. The virtual reality business it has is said to be enjoying an excellent opportunity in a rapid-growing market. Wang claims HTC's Vive headset is considered the best out there, and the company would like to hold onto this position of success and influence. Jun 14, 2017, 4:00 AM, by Damian M.
This is quite the surprise ! This is quite a surprise i must say. Htc U rock!!!
" HillaryClinton2020" delusional much? yes, the answer is yes. @Hillaryclinton202 English language "has BIG problem to you"
Because he's butthurt and nervous during he's typing. Yeah right, looks like you have more money than brain cells. You use a phone to display a status quo? Isn't that a little silly? It's a phone. Samsung sell 6gb RAM device after HTC U11 released FYI. That's extremely incorrect. It was announced way before U11 even hit the market. I doubt its as good as they make it seems. lets wait to see their next quarterly. im not optimistic. Exactly. People dont realise that HTC is at the very bottom. They are under 3% market share and if Im not wrong before U11 they would have been around 1-2%. This might be a slight increase before Note 8 and iPhone 8 come out and obliterate anything. HTC 10, available in US, China, Taiwan Only HTC U11, available in China, India, Russia, Malaysia, SIngapore, Philippines, Saudi Arabia, and of course Taiwan. DO i need to explain more? HTC 10 is available here in Australia too !! You are an idiot Htc 10 is available (UNTIL NOW) in All Countries ... U11 is not !!! Are you saying that availability is what prevented the HTC 10 to sell as much as the U11 did in less than a month? HTC U11 simply has a better appeal (in all senses of the word), so it is proving to be more successful than the HTC 10. I'm not a fan of the size of the phone, but it looks like the phone is an amazing device. I love the color changing red/gold. Camera is again top notch compared to the competition, and build quality is on point, as has been the case since the One M7. While it's not the new "standard" 18:9 ratio, HTC LCD panels are always great looking. My HTC 10 is awesome, and if the 11 is an improvement (which it sounds like it is), it's very much a device worth having. I'm glad HTC appears to be hitting a home run with this device. Good to see HTC is making a comeback.